Continuando a visita a Liverpool, acima está o Strawberry Field que também é tema de uma das canções dos Beatles. O lugar parece abandonado, está cheio de mensagens escritas no muro. 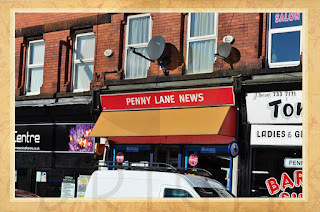 Abaixo, a famosa rua Penny Lane e uma das lojas que leva o mesmo nome. 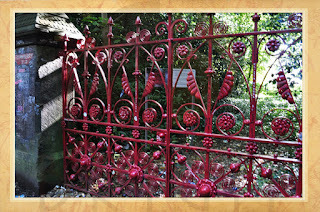 Continuing the visit to Liverpool, above is the Strawberry Field which is also the subject of one of the songs of the Beatles. The place looks abandoned, full of messages written on the wall. Below, the famous street Penny Lane and a shop with the same name. 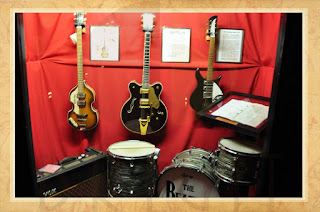 Os instrumentos abaixo pertenceram á banda e estão expostos na The Cavern Club, onde o grupo começou a tocar antes de ser famoso. 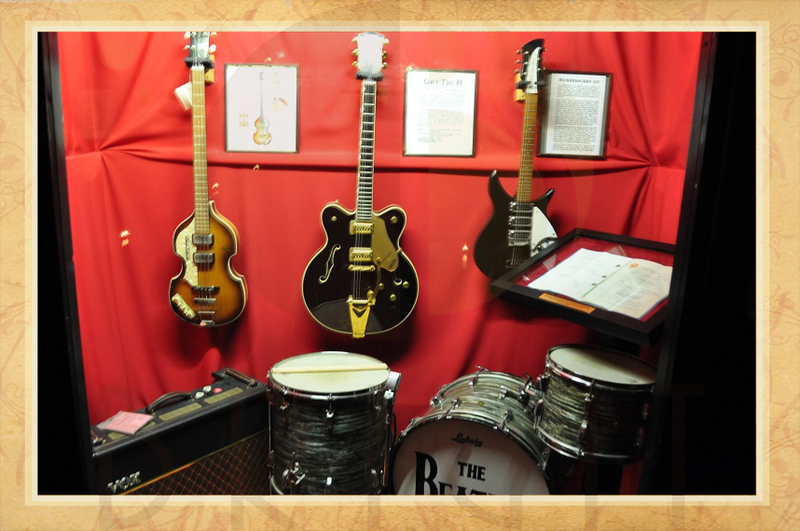 The musical instruments below belong to the band and are exhibited at The Cavern Club, where the group started playing before being famous. Semana que vem tem mais Liverpool, bjus! Next week , more about Liverpool, xoxo!